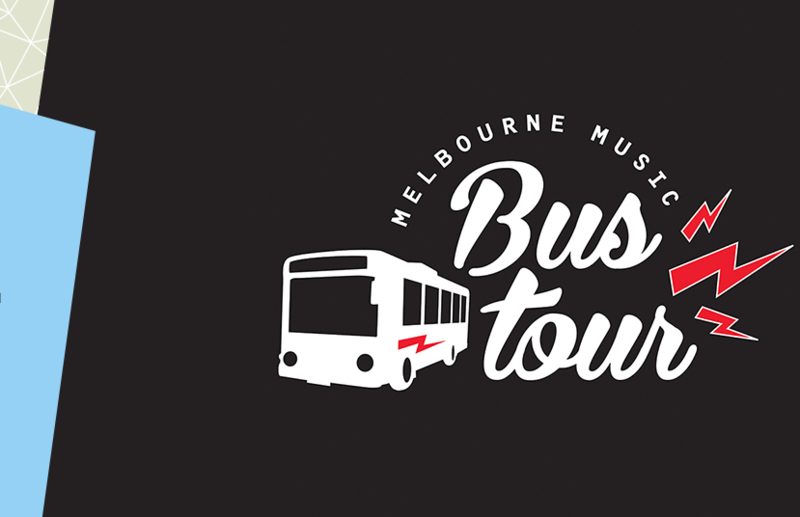 After its success earlier this year, the Australian Music Vault and its host venue Arts Centre Melbourne are bringing back the Melbourne Music Bus Tour. Thereâll be 12 guided tours between October and March of major music landmarks. Lasting two hours each, the bus goes via landmarks in South Melbourne, Albert Park, St Kilda, Port Melbourne, Prahran, South Yarra, Richmond, Abbotsford, Collingwood, Fitzroy, Carlton and the city. Guides are Triple R broadcaster and Greville Street Records co-founder Bruce Milne and music journalist and venue booker Mary Mihelakos. âThereâs musical history on every street and corner of Melbourne,â Milne whose legacy also includes The Tote and Au Go Go Records. âThereâs colourful (sometimes outrageous) tales too. I have stories to tell but I love to hear stories from other people as well. Get on the bus and letâs explore and share. And have some fun,â Milne said. Among the stops include Armstrong Studios where the great hits as The Real Thing and Youâre The Voice were cut; Bakehouse Studios in whose rooms the SLAM rally was devised; Champion Hotel; Crystal Ballroom; the two-storey weatherboard Dogs in Space house; at 19 Berry Street The Espy; The Exford; Faraday Street; the Muchmore Ballroom; Mushroom Records at 9 Dundas L ane in Albert Park; the Nylex Clock sign which was referenced on Paul Kellyâs Leaps and Bounds and where Baker Boy and Dallas Woods shot the video for Black Magic; the Old Greek Theatre; the Palace; Punters Club; Richmond Recorders; Sing Sing Studios; Tiger Lounge and The Venue. The tour also travels to Chrissy Amphlett Lane, Charcoal Lane, Rowland S. Howard Lane and AC/DC Lane. Special guests hop on at various points. These included, earlier this year, Deborah Conway, Adalita, Cash Savage, Clare Moore, Paul Stewart, Stephen Cummings, Kim Salmon and Dave Graney. They tend to add their own anecdotes to the trip. TMN joined the 22 other travellers the day Paul Stewart joined, adding a personal touch to Flinders Street which was name-checked by his song The Boy Who Lost His Jocks On Flinders Street Station and, at Port Melbourne, recalled how the Painters & Dockers union were initially not impressed that their name was commandeered by Stewartâs band . Booking HERE or 1300 182 183. < p> Subscribe now for the latest news, features, charts and jobs - it's free!